Colombia has the third largest coffee production in the world. A Bucketlist item for Colombia : visit a coffee farm or perhaps even a stay at a coffee farm in Colombia. 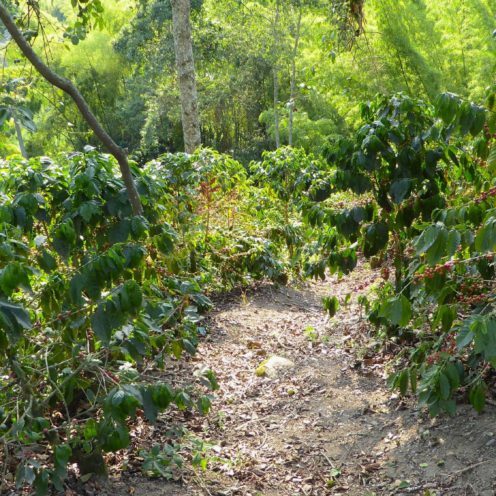 The beaten track ( or the gringo trail as they would say in South America) leads most travellers to Salento, however there are other options in the “Coffee Triangle”. The coffee triangle is located in between Pereira, Manizales and Armenia, to give you a small sense of direction, of where to find the best Coffee in Colombia. 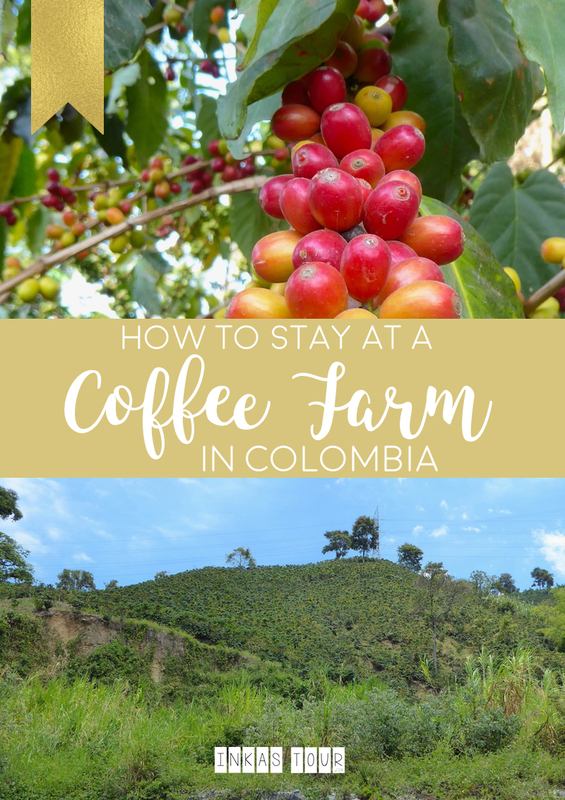 But you may be wondering, how do I stay at a Coffee Farm in Colombia? Can I be surrounded by coffee fields 24 hours? 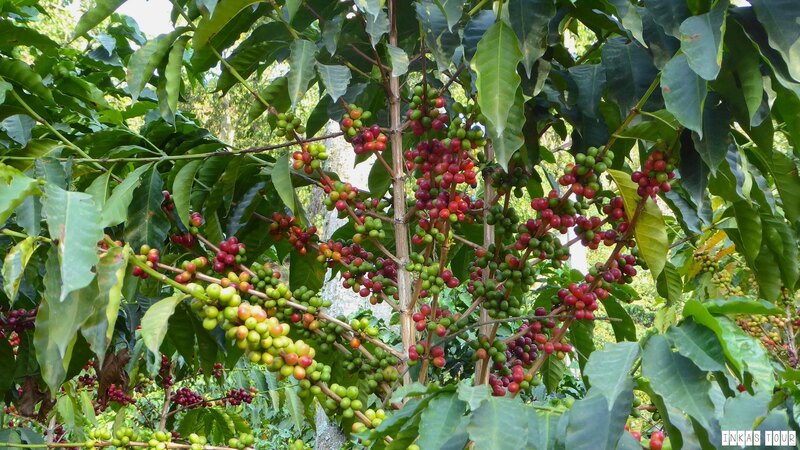 Wake up to amazing brewed Coffee that was grown exactly on the fields around you? And while doing all that, be able to explore the coffee fields, go on a coffee tour and relax while enjoy the views of the surrounding hills? Yes, you can and I am going to show you how. Because honestly this is the best option all around. But before that here a little backstory: Visiting a Coffee Farm in Colombia had always seam so unreachable and unrealistic to me. Throughout the years I have worked in a few Coffee Shop and naturally a need to understand Coffee comes with the Job. I started to wonder how the Plants look, what does it look like when Coffee Grows, and how is is processed further. Sure there is a lot of information on the internet but, there is always a difference about reading something and actually seeing it in real life. Only then does it become totally real in your mind.In short i was not satisfied with the idea of just a day at a Coffee Farm. I wanted the full experience, waking up between coffee, drinking fresh coffee while looking out on the yet to be harvested Coffee. That sounded like pure heaven and delight. And this is how you can do it as well. 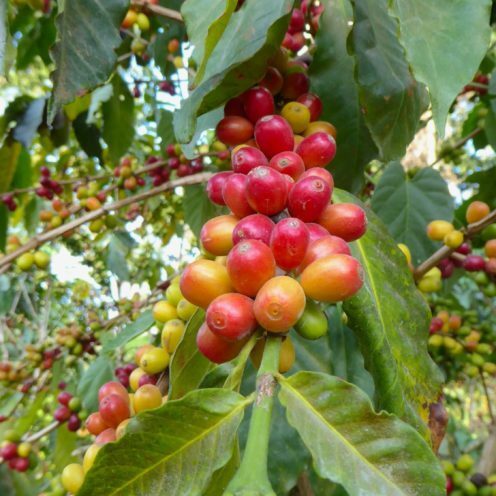 Have you ever wondered where Coffee comes from and how it grows? How it is processed, so you can enjoy your morning coffee? Hacienda Venecia , Vereda “El Rosario” in a working Coffee Farm with a tradition of 100 years. You will be able to find coffee cultivation, production and the export of Colombian Coffee all under one Room. Located just 10km outside of Manizales Colombia Hacienda Venecia is a great for a. They not only offer guides Coffee Tours but also, have three stages of Accommodation available on the Farm. The Casa Principal is like the perfect example of any estate house that you find in any movie. With a history of about 100 years, the arcitecture mirrors the time of colonization of Antioquia. The Main House has six rooms, each of the rooms facing the surrounding veranda. While walking past it, you have this feeling of luxury, believing there is this smell of freshly washed linen in the air, while the cutains are blowing out of the Windows, giving it a charm of freedom and peace. This Option has Breakfast and Lunch included and is the most luxuries among all the accommodation options. The guest house is located across the River from the Casa Principal, it is a traditional-modern structure that was traditionally used for buyers, toasters and visitors interest in the Coffee Production. It offers seven rooms, with a Pool to refresh, Hammocks to relax and enjoy the view of the surrounding coffee hills and endless amount of Coffee. Breakfast and Lunch are included. The Guesthouse is in the medium price point of all Accommodation. The most basic option of them all, the Hostel is an old camp where coffee collectors stayed. That does not mean it is any less beautiful, its surrounded by the beautiful Landscapes and paths between the coffee plantations. The Hostel has three rooms ( one four bed bunks and two eight bed bunks.) There is a small mini-markt to buy the esscentials in order to be able to use the open kitchen. Breakfast items are provided, to cook you own breakfast with endless Coffee. Guest of the Hostel have the option of using the pool at the Guethouse, as well as enjoy the Lunch from the guest house for a price of 15,00 COP. 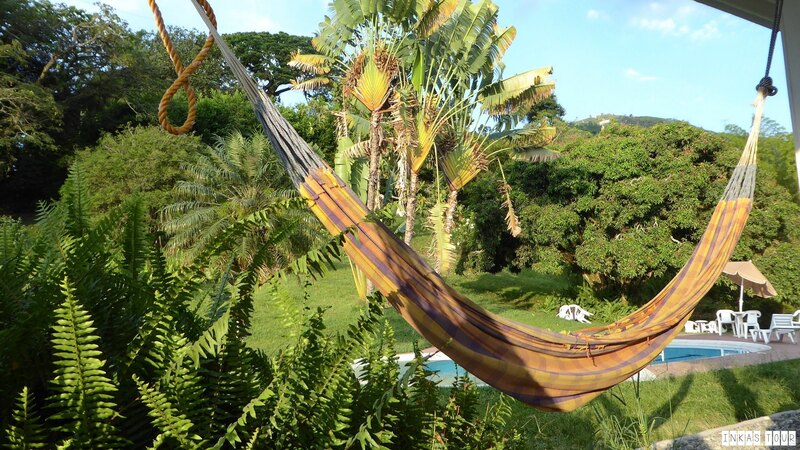 There could be nothing more relaxing that lying in a Hammock and enjoying the hills of growing Coffee, or take a plunge in the Pool at the Guesthouse. This is the perfect spot to take a moment to relax and drink as much free coffee as you would like. But of course that is not all you can do while staying at the Coffee Farm. Around Hacieda there are multiple walks you can take seven in total ranging from 15 minutes to 4 hours. 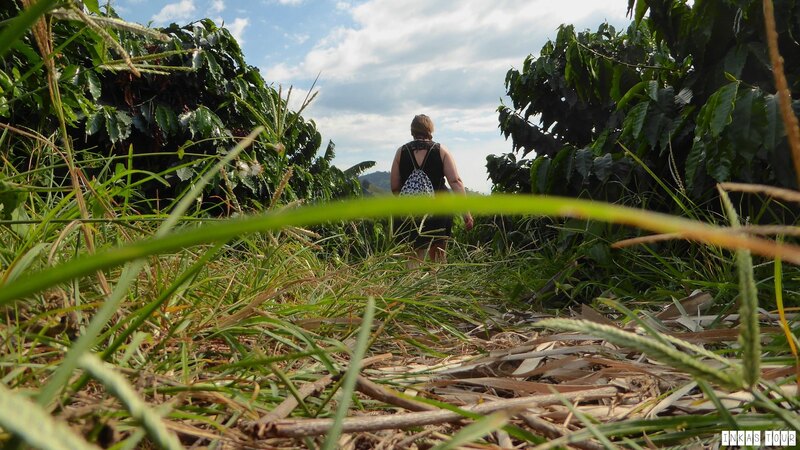 A Coffee Farm is not just about Coffee, there are a lot of small charm in between. Whether you decide to stay one night or multiple nights, I am sure you will not be bored so soon. If you are not a Walker then maybe Birdwatching is something for you. There are roughly 1000 to 1876 pieces recorded in Columbia, making it the number one Country for diversity of bird in the world. 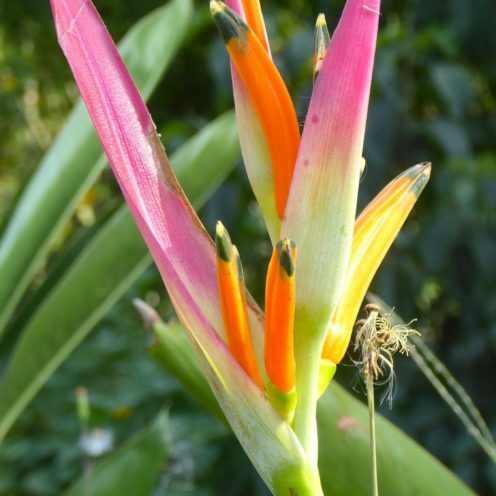 At Hacienda you can see around 117 of those species. But last not us forget the regular Coffee Tours that will show you the regular journey of a working Coffee Farm in Columbia. How to get to Hacienca Venezia. Hacienda is 10 km away from Manizales. From the Bus Terminal at Manizales take a Collective (Mini - Bus), these run multiple times a day, towards Chinchina and get of at Estadero Las Palmas in San Peregrino (a Restaurant on your left hand side right after a bend). At the Restaurant you can call the Hacienda for transport to the Guesthouse, or walk 30-40 minutes to Hacienda Venecia. For further infromation about Hacienda Venezia check out their website. The stay at Hacienda Venezia was a wonderful experience and I would recommend it to anyone. And I am not even going to lie if I say it took me hours on end to find this charming little place, and be able to stay on a working Coffee Farm. I am glad that there is an alternative to get of the Beaten Track, and I would return again anytime. It truly is a little piece of heaven. Would this be something for you? Staying at a Coffee Farm in Columbia?